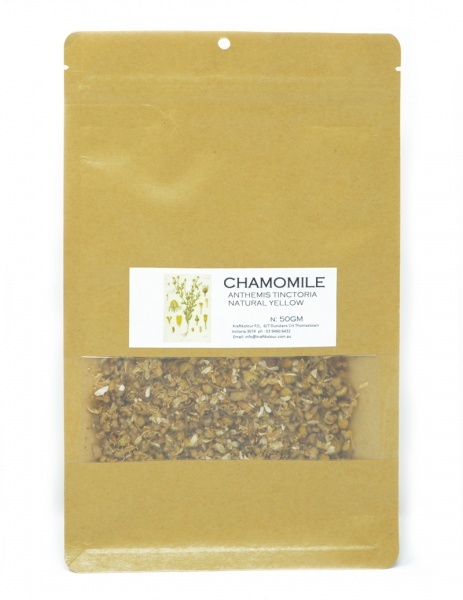 Chamomile is the common name given to the daisy Anthemis Tinctoria belonging to the Asteraceae family. Use 50 - 100% dried flower heads per WOF for medium to strong yellows.Grown throughout North America, Europe and the Himalaya's, it gives strong yellows and can be mixed with madder for oranges . Chamomile is best used on wool using an alum mordant.